There’s plenty of wild speculation about the next generation of Apple’s iPad. Here’s the latest rumors, unconfirmed speculation, and other bits of information floating around about the popular device. It’s nearly impossible to keep up with the chatter surrounding the iPad 2. Every day it seems like there’s a new rumor about a new model, a new launch date or even a USB port. It’s a bit overwhelming. That’s why we decided to scour the web for the most prominent iPad 2 rumors and create a comprehensive guide detailing what we think is likely to be in the next generation of the iPad. We’ve picked out our top 10 rumors and provided not only our analysis, but the percentage chance a specific iPad 2 rumor will actually come to fruition. We’d bet money on some of these rumors (two cameras), while others will only happen when pigs learn how to fly (the mythical 7-inch iPad). Without further ado, here is our comprehensive guide to the iPad 2 rumors. 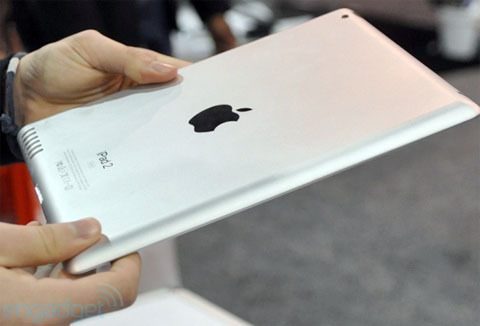 Apple watchers are expecting Apple to release the iPad 2 this spring, packed with new features and a refined form factor. Aside from various mock-ups of the next generation iPad appearing at CES this year, several recent leaks from industry insiders are painting a more detailed picture of what the iPad 2 hardware will include.